When I was an undergraduate, I had a crazy idea to try and interview one of my favorite musicians, Jonathan Meiburg of Shearwater. We had both attended the same small liberal arts college, tucked away in the deep forests of the Cumberland Plateau in Tennessee, and as a senior and editor-in-chief of our college newspaper (which he once ran himself), my thought was, “Why the hell not?” Little did I know that a few years and a handful of Shearwater shows later, that conversation would not only lead to a new friendship, but even more opportunities to get to know some absolutely amazing folks. 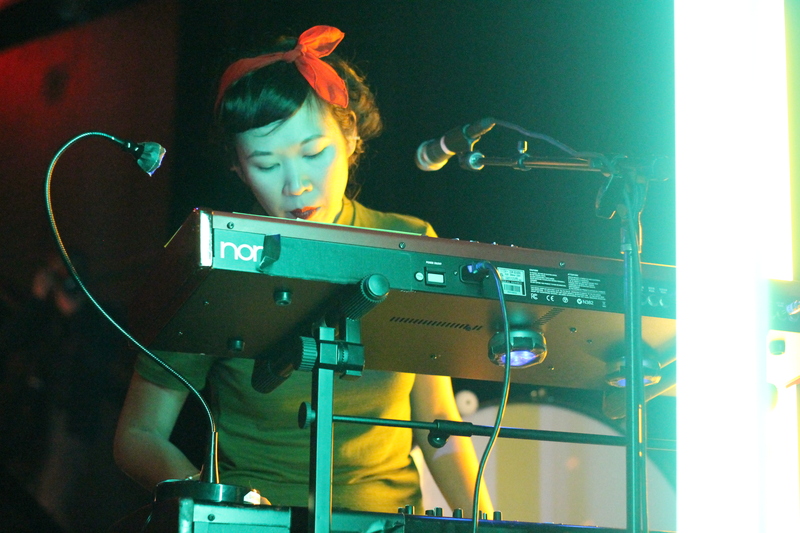 Emily Lee currently plays the keyboard and provides backup vocals for Shearwater. After witnessing her hypnotic on-stage presence (and being inspired by her killer vintage style) at the Roxy in Los Angeles, I had a feeling she’d be a perfect interview for this column. Lee was kind enough to take some time from her Shearwater duties—which currently involve a cover of David Bowie’s Lodger (in its entirety) for A.V. Club’s Undercover series—to talk music, mentors, and being one of two badass minority ladies in the band.